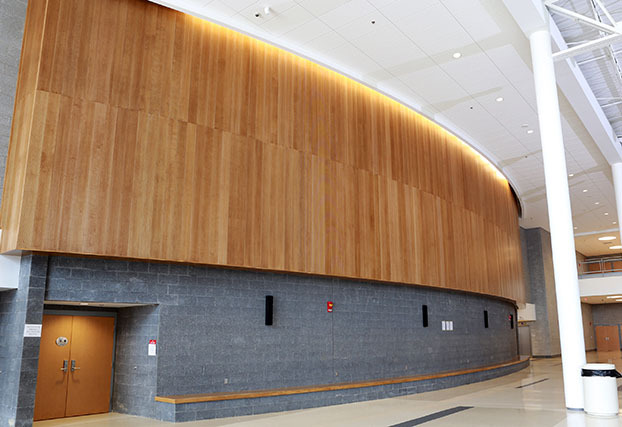 Kinetics Noise Control has 57 years of experience designing and fabricating hundreds of innovative products used by architects, engineers, and designers to improve the acoustic environment in the built space. 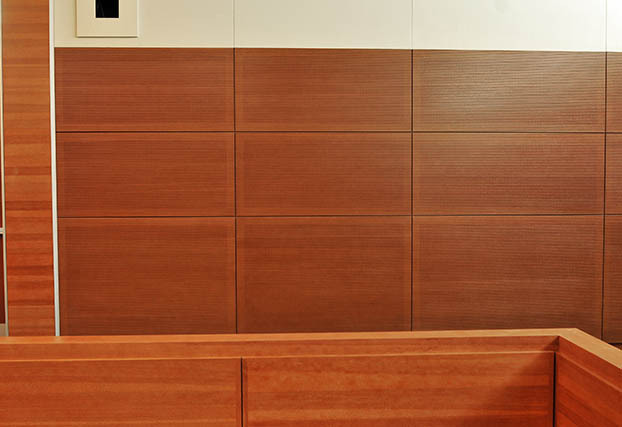 Benefits of properly conceived architectural acoustic design include: quiet work and leisure spaces, greater speech privacy, higher worker productivity, improved healthcare, enhanced sound clarity, and reduced noise intrusion. 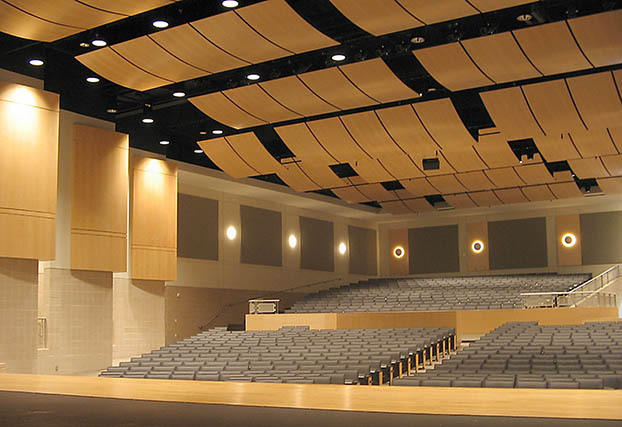 Acoustical interior finish materials include fabric, vinyl, metal, and wood panel products used to absorb or diffuse sound. 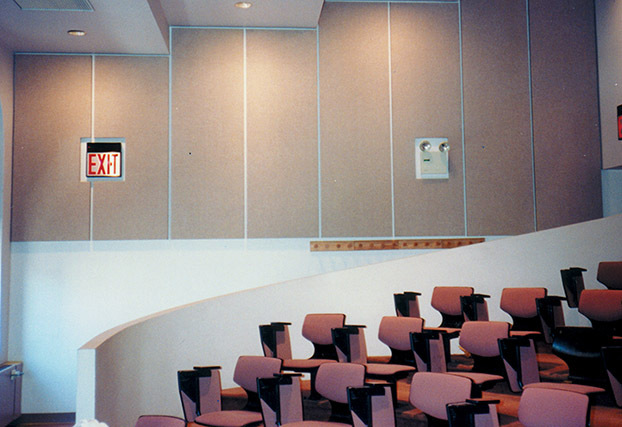 Noise control materials are used in the design of high Sound Transmission Class (STC) walls, floors, and ceilings. A wide variety of products are made for HVAC noise and vibration control. 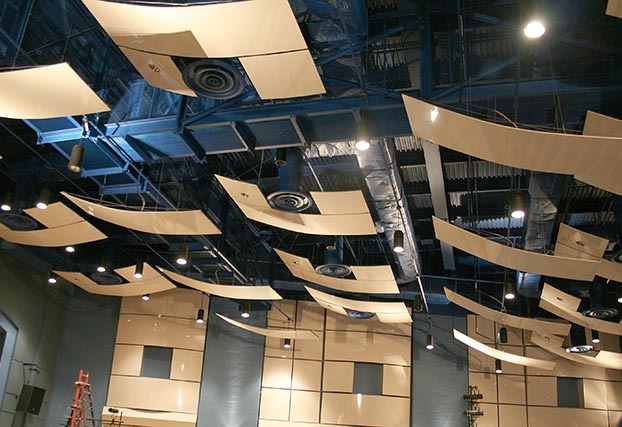 Kinetics’ currently fabricates and supplies the industry’s largest selection of products to improve room acoustics, noise control, and vibration isolation. Value is added with our experienced staff of engineering and customer support people working in conjunction with a worldwide network of sales representatives ready to serve you. HighTones wood diffusers create sound diffusion with the beauty of natural wood. 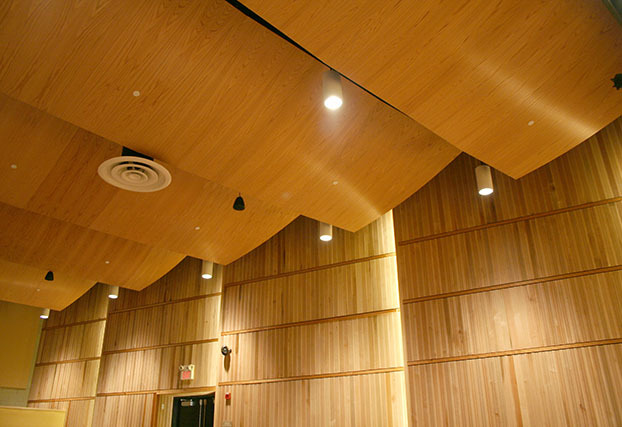 Room Acoustics: Acoustical Finishes; Sound Absorption Panels; HealthCare Acoustical Panels; Sound Absorptive Wood Finishes; Acoustical Baffles; Acoustical Cloud Panels; Sound Diffusers; Sound Reflectors. 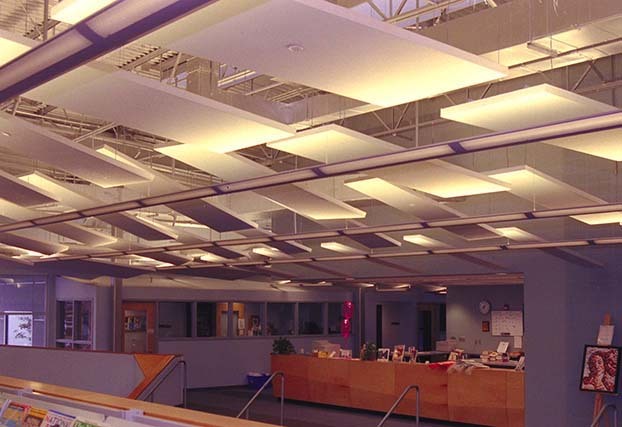 Noise Control: Noise Control Ceiling Tiles, Floating Floors, Noise Control Floor Underlayment, Resilient Sound Isolation Clips, Noise Control Ceiling Hangers, High STC Walls, Sound Flanking Control, Noise Control Pipe and Duct Wrap. 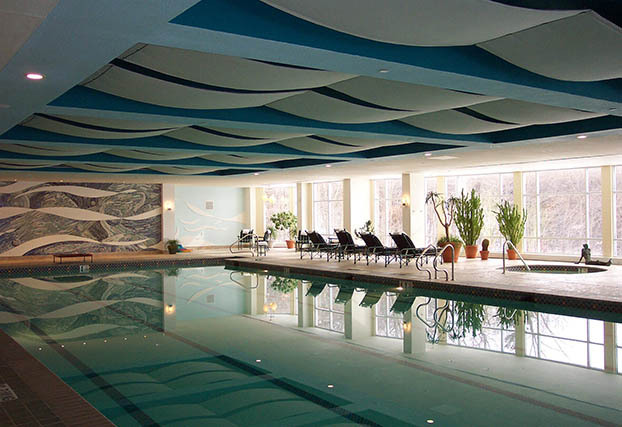 Noise, Vibration, and Seismic Control for HVAC Systems. 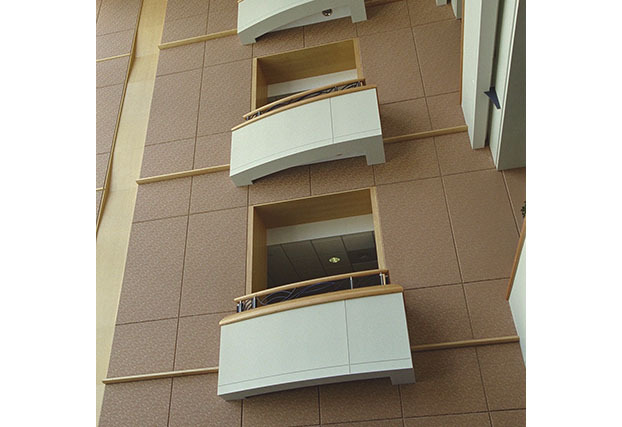 HealthGuard Acoustical Panels: Easy to clean and sanitize absorptive panels for reverberant noise reduction in healthcare environments. Kinetics Noise Control is committed to help building professionals meet the exacting requirements of LEED certification. 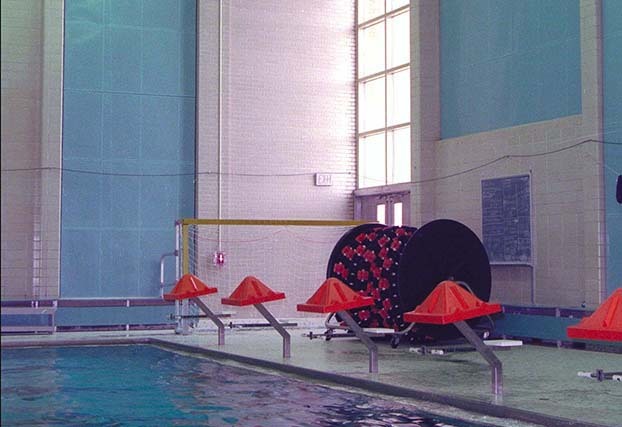 Many of our products can help contribute to LEED credits.